Weekend dates approximately once a month between April and October. Minimum age is 18 and maximum weight is 18 stone. As a guide if you can fit comfortably into a standard size car seat, you will be comfortable in the cockpit. Asthma sufferers may participate. 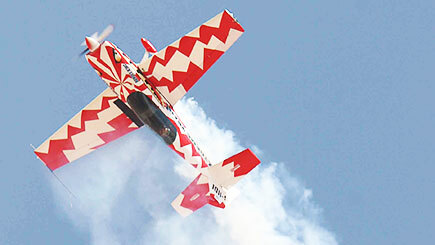 As the Tiger Moth is an open-cockpit plane, certain conditions might mean that the flight is rescheduled or some aerobatic movements aren't possible. Please call the venue (after 8.30am please) for a weather check before setting off. 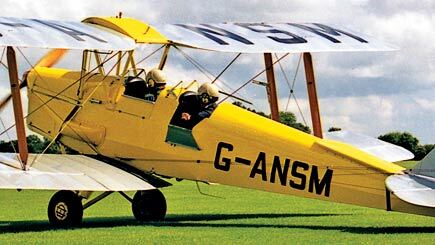 The flight lasts about five and a half hours, including approximately 20 minutes in the Tiger Moth. Please arrive 45 minutes before the allotted start time, or call the venue if delayed. Share the experience with a maximum of 15 other people. The Tiger Moth flight is held on a one-to-one basis. The museum is very popular and can get busy on summer weekends and school holidays. Tiger Moths have open cockpits, so wrap up warm. Wear soft-soled shoes. Bring sunglasses and tie back long hair. Flying kit (jacket, headset and helmet) is provided. Regulations set out by the Civil Aviation Authority can affect your rights in the unlikely event of an accident - full details are available from the venue. MUST take the booking confirmation letter on the day in order to guarantee participation.